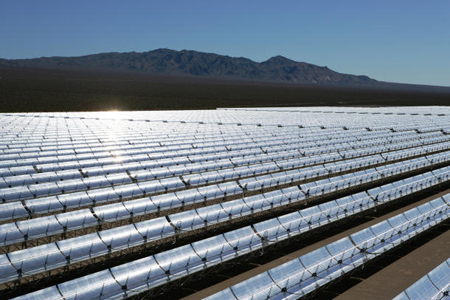 The U.S. Army’s Fort Irwin base in the Mojave Desert in California has unveiled its installation of a 500-megawatt solar energy project and is expected to be the Department of Defense’s biggest Solar Project. The project’s solar power is going to be generated via photovoltaic panels and solar concentrators wherein the solar energy is collected and converted into an electricity via a turbine. This solar power plant has the ability to produce 1,250 gigawatt of electricity annually, which is a way much more than the natural gas or coal power plant that produces between 600 megawatts and 800 megawatts. The base solar power plant will power for Irwin’s facilities for training and communication with NASA mission.